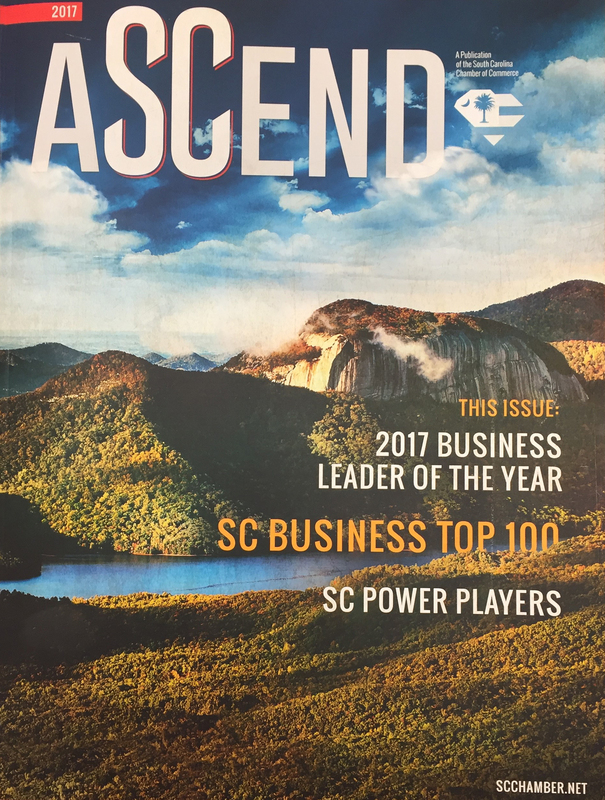 Each year, the South Carolina Chamber of Commerce releases their annual magazine, ASCEND. The publication allows the Chamber to showcase outstanding South Carolina businesses while highlighting how each of them compete in the domestic and international space. Colite is honored to have been recognized by the Chamber once again, earning 76th place among the South Carolina 100 – the list for our state’s largest, privately-owned companies as measured by annual revenue. Colite also tied for 2nd place on the list of Significant Rank Jumps, having moved up 15 spots from our 2015 ranking. This continued growth is the result of an expanding client list that features dozens of Fortune 500 companies from the corporate, retail, hospitality, and healthcare sectors. Since Colite’s establishment in 1947 and its international expansion in 1992, our global partner network has grown to include manufacturing partners in 20 countries, installation and service partners in 85 countries, and signage installed in over 130 countries.